“Though I left home with heavy heart for leaving all of you, once I touched my motherland and saw my family, my burden was lifted. By the grace of God, I landed safely in India on November 30th. We had family prayer and we praised and worshiped our Lord Jesus Christ for His Love and grace up on me and upon my family in my absence. I left India when my daughter was newborn. Now she is one year old and is able to recognize and call me “Achha” (Dad). There is so much joy while playing, feeding, changing her diaper, changing her dress and tucking her in bed. My wife and children are truly a blessing and reward in my life. After jetlag had subsided, we visited my Mother-in-law who is recovering from a major surgery. By God’s grace, surgery went well and she is doing better in these days. We have been busy in training children (my wife’s sister’s 13 year old son, who has hearing loss stays with us) for their Christmas Semester exams. 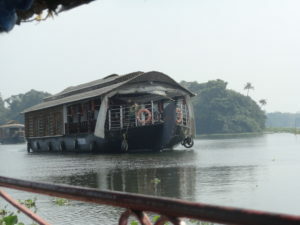 We took a break and had a small family tour which included backwater boating and green paddy field. The time with family in nature was mesmerizing and rejuvenating to our spirits. I had visited the slum which is an hour away from my home to get an idea about the present situation. In order to get access to this community, I shall first have permission from the local political leader titled “Counselor.” I took an appointment and met him on the same day and shared my vision of empowering the children by teaching and training in conversational English/Career Guidance/Personal Development. He was so delighted and cordial enough to connect me with the slum woman leader. The woman leader was so happy and introduced me to the slum children who were playing soccer. When I explained my vision, those children were so happy to receive me and shown interest to attend the classes. Later the counselor introduced me to lots of other people in the community. The counselor has been getting elected for the past 16 years and he seems to be very dedicated in serving the community. He is Catholic and I definitely felt it is all God’s plan to connect with such humble and loving people. I also had a meeting with my local Pastor, who is a very dedicated servant of God with a church body of 2,500 members. As it is becoming very hard to reach communities with the gospel alone, these days church is trying to witness Christ by doing good deeds. Trying to be light and salt. Trying to bless the community with the church members and facilities they have. At this same time, the state Government announced a program called “Green Kerala.” The main objective of the program is to clean the surroundings in every municipal area and also provide vegetable grow bags to interested families. The other aims also include providing hens/buffaloes to interested families and rain water harvest. Our Pastor and I decided to involve our church in cleaning and vegetable grow bag culturing. I will act as a main coordinator and my roles would be to mobilize the church to the areas for cleaning and to the supply of grow bags. I would also act as a grow bag farming consultant to the families who have availed the vegetable grow bags. Grow bags would be provided by our church. These actions would help us to interact with the community and will help us to identify the needy and broken families. With fasting and prayer, the gospel would be shared with those God chosen families. Though I have worked in the past in the slum, but recently when I went, I had lots of doubts and speculations. But while I was driving, I prayed to The Lord of Harvest, asking “Lord, you know the desires and intentions of my heart and as you have saved me and gave me life, I wish the same that these people will have YOU. Lord, open doors and connect me with the right people. I give all praise and honor to you.” With that prayer, I had called the counselor and I could feel God’s presence in our conversations. That night, I and my wife really praised The Lord for these doors to be opened. We also praise The Lord for giving an opportunity to work with the Government to show the community who we are in Christ. It’s going to create a great impact on society. 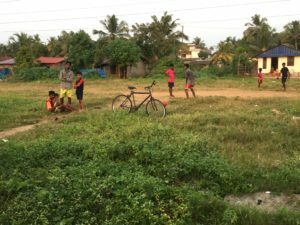 In India, the Protestant church played a very little role in community based services. But, this is changing now. Praise The Lord. I praise The Lord for all of your support through prayers, finances, love and care through encouraging words. Without all of you, I would have not taken this step to get into missions. I have not forgotten any of you. My wife and I constantly pray for all of you. I will be meeting three other school headmasters in and around the slum area as most of the children attend these schools. The plans would be discussed with teachers, to consider their suggestions. Notices would be distributed and an official inauguration will be done to start the program and to reach the many students and families. Simultaneously I need to work on making notices, brochures, registration forms to screen the students who have minimum basics of English, syllabus and time schedule, etc. “Green Kerala Project:” I have been working on flow chart of plan and by this weekend, the plan will be discussed with the Pastor, the committees will be formed within the church. Later, with the help of local counselors and local people and District Collector and other officials, the program would be initiated. Please pray for my travels as I will be heavily traveling to meet people. Driving is highly challenging over here. The city traffic is crazy and you can’t imagine the number of accidents that occur on a daily basis in and around the city. By this time, I had missed twice at least.